﻿I love that this colorful creation offers a nice compliment between raw & cooked food. It is an extremely easy and nourishing meal. I started with sweet potato and anaheim pepper. I roasted them in the oven together for 45 minutes. Then I added organic frozen corn, salt-free organic red beans, raw pumpkin seeds and my own fat-free Chili-Lime Dressing. I placed the salad on a big bed of organic baby spinach. No additional dressing is needed for the spinach because the salad is bursting with so much flavor. Absolutely delicious and very satisfying. I highly recommend this yummy dish. Try to buy your ingredients organic whenever possible. Read below for all the health benefits of this amazing salads ingredients. Sweet potatoes are packed with massive amounts of vitamin A, a nutrient considered critical in maintaining proper eye health. One sweet potato contains nearly eight times an adult's daily need of this important vitamin, and, because the vitamin is fat-soluble rather than water-soluble, the body can store it for later use. 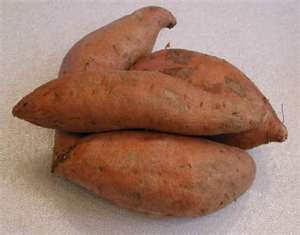 So many Americans are deficient in this important vitamin that the sweet potato might be seen as a critical health food for our inadequate diets. 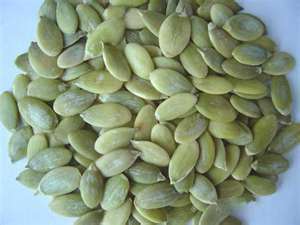 Pumpkin seeds are a natural source of beneficial carbohydrates, amino acids and unsaturated fatty acids. They contain most of the B vitamins, along with C, D, E, and K. They also have the minerals calcium, potassium, niacin, and phosphorous. They are very high in potassium, and have good amounts of beta carotene and vitamin C.
Black beans are a very good source of cholesterol-lowering fiber, as are most other legumes. In addition to lowering cholesterol, black beans' high fiber content prevents blood sugar levels from rising too rapidly after a meal, making these beans an especially good choice for individuals with diabetes, insulin resistance or hypoglycemia. When combined with whole grains such as brown rice, black beans provide virtually fat-free high quality protein. 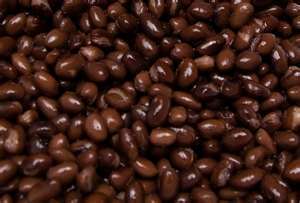 Black beans are a good source of manganese, protein, magnesium, thiamine (vitamin B1), phosphorus and iron. Corn is a wonderful whole grain food that is a good source of vitamin B1, Vitamin B5, folate, fiber, vitamin C, Phosphorous, Manganese and a nutrient called beta-cryptoxanthin. Beta-cryptoxanthin is a strong antioxidant and prevents the free radicals that can damage your cells and DNA. In addition to preventing birth defects, Folate can also help to lower your risk of heart attack, stroke and peripheral vascular disease. It has been estimated that consumption of 100% of the daily value of folate would, by itself, reduce the number of heart attacks suffered by Americans each year by 10%. Folate-rich diets are also associated with a reduced risk of colon cancer. 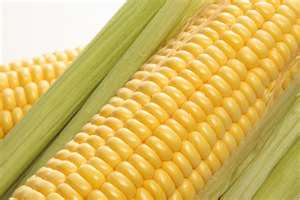 Corn is also a good source of Thiamine which is a nutrient essential to good brain cell health and mental function. The brain uses Thiamine to make a neurotransmitter called acetylcholine which is essential for good memory. In addition, maintaining healthy acetylcholine levels may help to reduce the risk of Alzheimer's disease. Spinach nutrition is amazing. The calcium content in spinach and the other dark leafy greens strengthens bones. The A and C vitamins in spinach plus the fiber, folic acid, magnesium and other nutrients help control cancer, especially colon, lung and breast cancers. Folate also lowers the blood levels of something called homocysteine, a protein that damages arteries. So spinach also helps protect against heart disease. 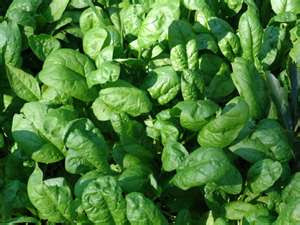 The flavonoids in spinach help protect against age related memory loss. Spinach's secret weapon, lutein, makes it one of the best foods in the world to prevent cataracts, as well as age related macular degeneration, the leading cause of preventable blindness in the elderly. Foods rich in lutein are also thought to help prevent cancer.As you can see, the health benefits of spinach are numerous. The vitamins and calcium in spinach, combined with the overall nutritional value of spinach, make this vegetable and its dark leafy green cousins top picks for healthy food choices. The capsaicin in peppers is known to inhibit a neuropeptide, Substance P, that is the key brain pain transmitter.They are a wonderful source of vitamin K, which promote proper blood clotting and helps protect cells from oxidative damage.The amount of the carotenoid called lycopene, makes peppers a good candidate for the prevention of cancers in the bladder, prostate, cervix and pancreas. The capsaicin in peppers is also known to decrease cholesterol, boost immunity, and reduce the amount of bacteria in the stomach that can lead to ulcers. 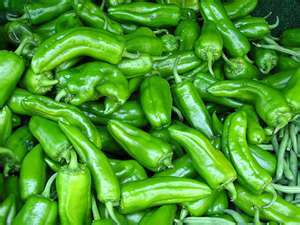 The capsaicin in peppers is known to increase the body temperature and heat production, along with increasing the oxygen consumption which means the body burns more calories in the 20 minutes after consuming peppers. Peppers are an excellent source of vitamins A and C along with fiber, making them immunity boosters. They are also known to reduce the inflammation found in arthritis and asthma. 1.) Heat oven to 375 degrees. Coat sweet potato chunks and anaheim chili with 1 tsp. olive oil. Place mixture in roasting pan and cook for 45 minutes. 2.) Remove from oven and add frozen or fresh corn, red beans and pumpkin seeds. Mix well. 3.) Make dressing by placing all ingredients in personal size blender and blend well. Add dressing to sweet potato mixture. 4.) Serve by placing large handfuls of baby spinach on 2 plates and divide mixture evenly on top of the spinach. 5.) 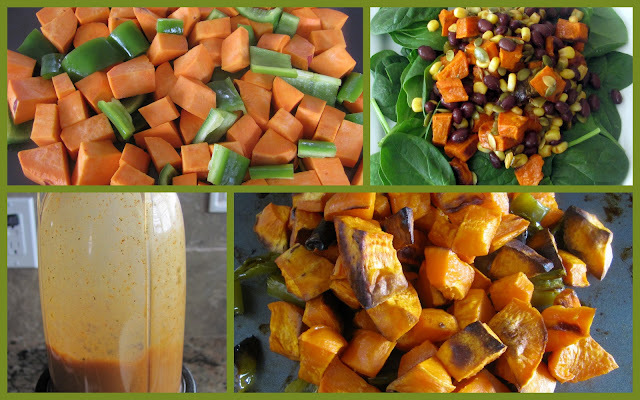 Enjoy this delicious and healthful meal. Looks wonderful! I especially like the chili-lime dressing! I am so loving this recipe! For one...its healthy, its easy to find with ingredients, and budget friendly which is always good for me! Great recipe and I cant wait to try it out!! What a beautiful and healthy meal; I love the raw-cooked combo. Thanks for all the nutrition information too; I never knew what nutrients corn had. Did you and Morgan get hired by the Sweet Potato Council or something? Shen, I know......so funny. We just happened to both make something with sweet potatoes this week. This sounds really tasty. I love sweet potatoes in a salad. Also, corn is even better for you raw! If I make this, I might leave that raw as well. Thanks for the tasting looking recipe.